I know people for whom planning a hike is a necessary pain. Well, for me it’s one of the most enjoyable things I do (especially when I’m supposed to be doing something else like work). Do you pull your hair out every time you need to plan a hike? Luckily for you, I’m going to sum up how I plan my trips. Maybe it could be useful and I’ll save some of your hairs. 3) Knowing what to do if things go wrong (as my friend says: “If everything is going as planned, something’s wrong”. I cannot agree more). Time is always a question and often the issue. We’re busy with our work, school, kids, dogs, boyfriends, girlfriends, both, payment calendars, mums willing us to come for lunches and friends wanting us to drink beers with them. Well, if you truly want to hike, there is always a way to make it happen. It’s about priorities. Like everything else in life. It might seem silly at first, but for example according the official website of the Pacific Crest Trail: “Running out of money is one of the most commonly cited reasons for why people quit the trail.” I always travel on a budget and travelling is important to me so I usually don’t ask myself the money question. Hiking is one of the cheapest things you can do and usually the most expensive part is to get there and back. And that’s usually affordable. However, obviously this depends on the length of the hike and the local economy. Do I feel like something flat / mountainous / boggy… ? In the end, I often choose the trail based on my feelings. If I did something flat last time, I usually feel like going up the mountains and visa versa. If I plan something bigger, I like using Trialdino to browse the options I have. Don’t be put off by a lack of pre-planned routes and loops. Be creative and link up different tracks to provide you with a hike that suits your preferences for length, terrain, difficulty and start and end point. Once you know the trail you want to hike, you can start figuring out how to do so in a safe and efficient way. In general, the better you do in this stage, the more enjoyable your hiking experience will be. How do I get to the beginning of the trail? Getting on and off the trail is obviously an essential part of making your trip happen. Some of the trails could be very tricky to get to and you often need a car. If you’re in a country with good public transport, that’s great! Make the most of it! Rome2rio is a good place too start planning. Alternatively, having a car provides great flexibility in getting to tricky starting points, but means you have to get back to it at the end. If the trail is a loop then this is no issue. But if your hike is a one way track with a different end point, finding transport to get back to your car could be tricky or expensive, and annoying when you’re tired at the end of a hike. It might be a better option to leave your car at the finish and find another way to the start, such as hitching. [Anna once solved this issue by leaving a bike locked up to a tree and hidden in some foliage so that she could cycle along the road to pick up her car at the end of the hike]. Furthermore having a car also often means either paying for the parking place or leaving your car somewhere where it might not be completely safe. Make sure you don’t leave any valuables in the car and if you have to leave anything behind, even clothes, leave them out of sight. An empty car is a lot less appealing than a car that might have extra surprises tucked away. 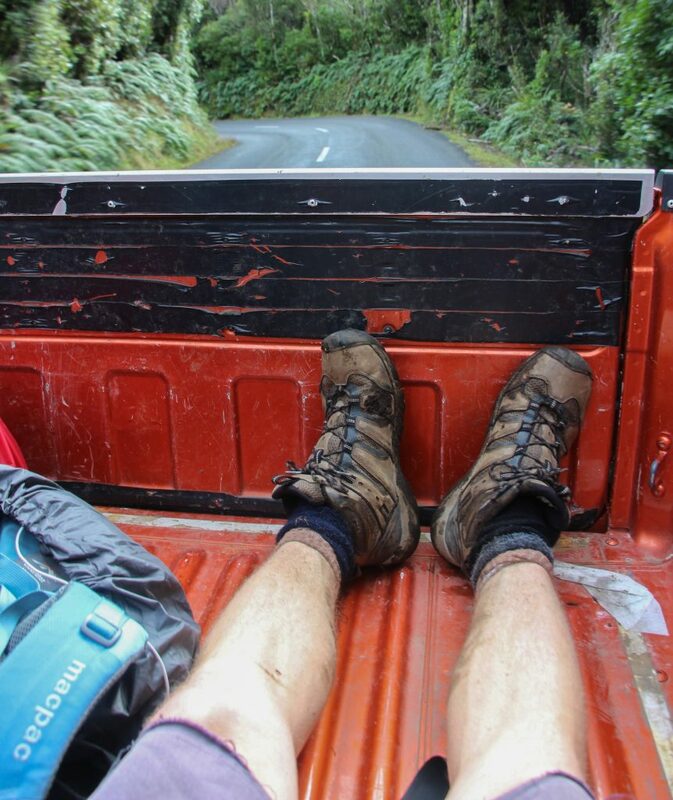 Sometimes, when you’re lucky enough, you can get a ride from a fellow hiker or a local. Even if you have access to public transport and don’t need to figure out getting back to your car, don’t underestimate this. It could be even more tricky than getting on the trail because you often can only guess when you will finish. If you walk from one place to another, try to start at the less accessible end and walk towards the end with better transport connections. Write down all the information you need like departure times of local buses, trains or any other accessible transportation. Write down also transport schedules from nearby towns, it could be handy in case you have to walk out of the trail earlier. Is it going to be foggy? Rainy? Too sunny? Be always well informed about the weather and find local reliable resources for the weather forecast. For international weather forecasts I can recommend YR.no from the Norwegian Meteorological Institute and Windy.com. If I want to get an immediate picture from the area, I do a simple thing: I go to Instagram and search pictures with hashtag of the place I’m going to. For example I’m about to go to Iceland and do Laugavegur Trail, so I simply go to instagram.com/explore/tags/laugavegur. This lets me see what sort of clothes people are wearing, what the sky is like and whether there is snow on the ground. Also, be aware that dehydration could be as dangerous as hypothermia. Take hot weather just as seriously as stormy weather. Weather conditions often change much faster in the mountains and are less predictable. Always carry a rain jacket even if rain is not forecast, at the very least it will provide a wind break if the weather turns and keep you warm. Simply said: especially if you’re going to the mountains, be prepared for the worst and hope for the best. 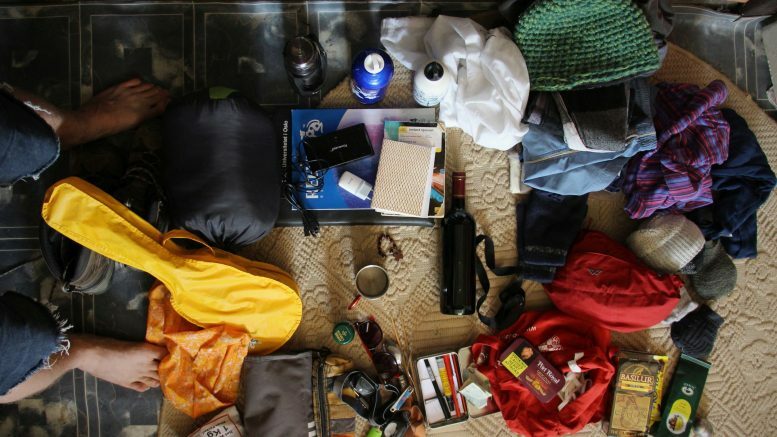 On some blogs about hiking you can see bloggers publishing their gear lists like its their ultimate list of things they carry on them all the time. However, this is often not the reality. Each trip will have you bringing different gear – it all depends on many factors like where are you going, what time of the year, with whom, for how long, how far and so on. If it’s possible, try to google reports from the hike from the same period you intend to walk it. People might leave comments that it can be particularly rainy in a certain region at a certain time of year while just over the hill the skies are blue. Furthermore, many bloggers are receiving commissions for endorsing certain products. Often you don’t need super hi-tech equipment and expensive gear. Common sense goes a long way. Don’t wear jeans – they won’t dry in a million years if they get wet, you will freeze and they are hard to move in. Likewise don’t wear flipflops or sandles, especially if you are carrying a pack. The extra weight will place a burden on your ankles and feet in general, so unless you’re an experienced hiker with strong feet, you will greatly benefit from hiking shoes with good grip and good support. But, you don’t need to spend hundreds of dollars. How do I navigate myself on the trail? If I’m in a specific country, I always use local resources. 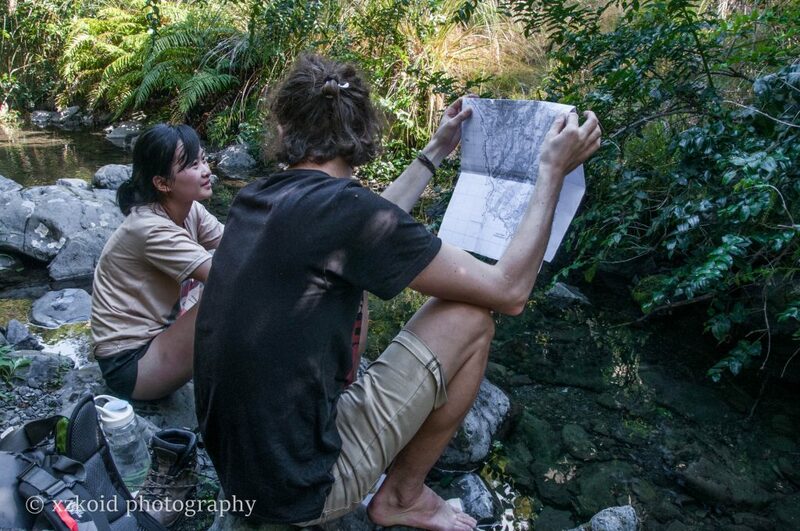 You always need at least a good map and good description of the trail. For example when I lived in New Zealand, my best mates were NZ Topo Map, Department of Conservation website & Tramper.nz. I’m a big fan of maps but their prices could be ridiculous so most of the time I just use my phone or printed maps from online sources. It’d often be a few black & white pages taped together with a few notes about the trail. Even if it looks very amateur, it does its job perfectly. What do I drink and eat? It sounds silly but a lot of people don’t realise that if they move a lot, their appetite goes up like a space rocket. Oh man, I’ve seen sooo many people bringing only a bag of nuts, a toast or a bar of chocolate for a weekend hike. This may be because a lot of people underestimate how much food they eat on a normal day minus exercise anyway. But the reality is that even on a short hike, you can eat at least half as much again as you would on a normal day. Bring a good hearty meal for the evening and plenty of snacks. At the very least, chocolate helps to keep you warm in a cold wind! If I go”just” for a day or two trip, I don’t really bother dehydrating food or taking a stove – I simply take food I normally eat and I don’t waste time and energy with sourcing dehydrated food or taking a stove. For example, I often bring bread, hummus, peanuts, chocolate and left overs from the previous night’s dinner in a container. It’s different when I hike with my partner Anna who can’t live without a hot tea. And we all know what happens if we don’t fulfill our hiking mates wishes – next time they won’t come. On longer hikes (more than one night) a little more planning is involved. Anna and I plan our meals more carefully and bring more snacks, allowing for our appetites to increase even further. Plastic ziplock bags are perfect for planning evening meals. Split red lentils, angel hair spaghetti and couscous (all fast-cook options as opposed to whole lentils, pasta or rice) can be measured out into servings, mixed with some spices and dehydrated vegetables and then cooked in one pot when the time comes. We also always carry a small plastic pot of salt. Don’t underestimate how important salt is when you’re sweating all day! Finally a small flask of palenka or port wine is an amazing evening treat. Are you gonna sleep in a tent? Mountain hut? Shelter? Cave? Make sure you sleep in a safe and dry place in case the weather goes bad. Get to know the shelters on the way in case you have to turn around unexpectedly or the weather changes. If you carry a tent, make sure you know how to put it up before you go. Yup, I’ve seen people spending half an hour trying to put up their brand new tent in the rain. If you know your tent, you should be able to set it up by yourself in a couple of minutes. If the weather goes really bad and I slip and break my leg and my phone gets wet, how do I call for help? Do I actually have good equipment and enough food to survive the night, while waiting for better weather so the helicopter can pick me up? And what if I’ll be unconsciousness, does the person who is coming with me know how to call for help? It might sounds ridiculous to ask questions like this at first, but it’s necessary especially if you go to higher altitudes. If you are not a very experienced mountain goat, take it easy. Do baby steps. Hike a local range, talk to fellows you meet there, check their gear, read, watch, listen. Once you get confident, hike higher, longer, faster… or whatever your goal is. The most important thing in the whole process in to enjoy what you’re doing. 2 Comments on "How to Plan Your Hiking Trip"
I never have done some hiking. I make walks in my neighborhood. The last 2 years have been difficult, stressfull and very tireing. I suffered a few illnesses which means I can’t do everything painfree anymore. But that’s okay. I plan to do a hiking trip on La Gomera. I don’t know if I’ll last a day because the cartilage in my knees is injured. But we’ll see. I always wonder how you finance it all? The life you are leading is a life I have been looking for, but never tried. Being confronted with a few limitations I still wanna try it. So, respect for what you’re doing. If you can leave a note, thanks. Otherwise good luck on your journeys. Hi Gerry! I’m sorry to hear about your illnesses. I got sick myself last year when I almost lost a vision in one of my eyes. It made me feel like the only thing I want in life is a caravan which I’d put on a random beach and I’d just watch the waves until the end of the century. You know what I mean? That all these materialistic things that people are chasing are so empty and bitter at the end. That the only thing they do is they make you sink down to the depths of the ocean of unhappiness. I think La Gomera is for everyone. It’s a beautiful place with a lots of hikes of different levels and skills. The hike I’ve done there (GR 132) is pretty much the hardest trail you can do there but the island has so much more to offer. How do I finance it all? Let’s put it this way: it doesn’t matter how you earn your money but what you do with it. I live very cheaply – I don’t go to pubs, I don’t eat out and I don’t shop. My hiking gear is pretty poor but I’d rather spend €300 for a month of hiking than for a new backpack. Hiking is a very cheap activity, you basically don’t need anything but food, shoes and you go. I don’t buy processed food, I always cook myself so I end up eating lots of beans, lentils, rice, oats and so on. These things are also very cheap (and much better for you than processed hiking food full of preservatives). If you’re interested in specific numbers, I can put them here for you.